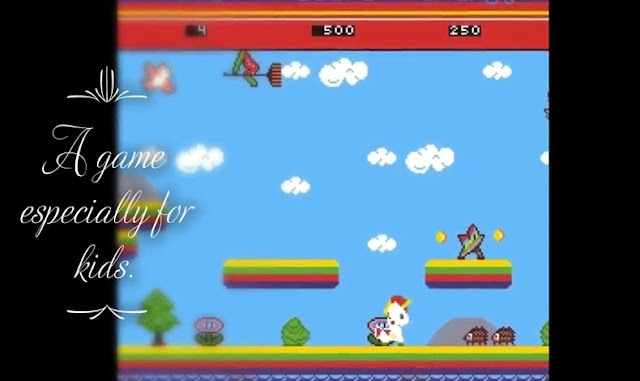 Indie Retro News: Elfie the Unicorn Chapter 1 - Amiga Jump and Run for kids due 2018! Elfie the Unicorn Chapter 1 - Amiga Jump and Run for kids due 2018! Well this is a nice little surprise as generally most homebrew games are developed for the retro gamer in mind, but thanks to a heads up by Per Ola Eriksson, we've learnt of a new game that's coming in 2018 and made especially for kids ' Elfie the Unicorn Chapter 1 '. So for those of you who do have kids or at least want to experience this game, you'll be pleased to know it's being developed by Twin Games Software and is a Amiga Jump and Run for all classic Amigas. The game will of course be very cute but will contain lots of enemies, an exclusive soundtrack with graphics, day and night levels, and be available as a free download - Together with "Jack - The Unicorn Hunter" a boxed edition of both games together is planed.